Political Wifery is gearing up. 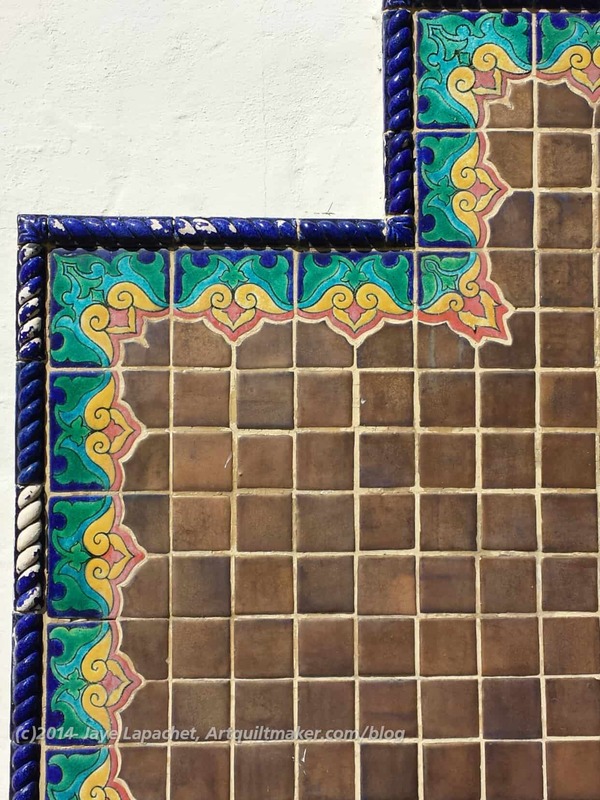 Last weekend we went to Monterey to do site visits for DH’s Grand Parlor*. We had to review the various facilities including hotel rooms required for the event. We also talked to hotel event coordinators to give them details about the events. It was sort of fun even though I didn’t get to visit any quilt shops and my Saturday sewing time was usurped by this task. I have to say that it was a beautiful day in Monterey and I did enjoy being outside and walking around. One of the things we did was look at a location for the BBQ. 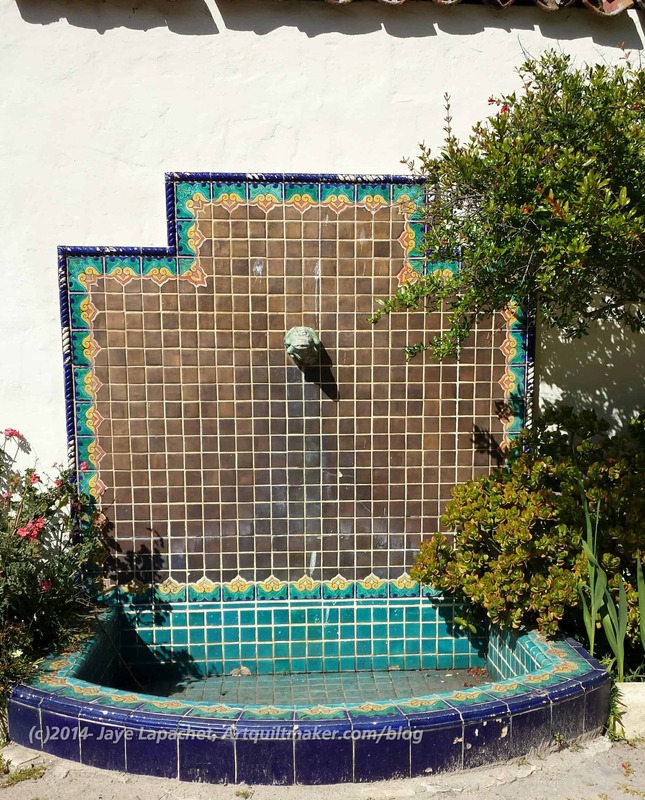 The proposed location is a historical site, which includes the tiled fountain shown here. The fountain, sadly wasn’t working. Conscientiousness about the drought in California, I imagine. It was still quite beautiful and would be a great inspiration for a border on a quilt. **Native Sons of the Golden West is a statewide fraternal organization which brings men together to support the preservation, teaching and education around California history. They also have a strong social aspect and support a charitable foundation that gives money to hospitals to support Cranio-facial Anomalies Teams at UCSF and St. John’s hospitals.